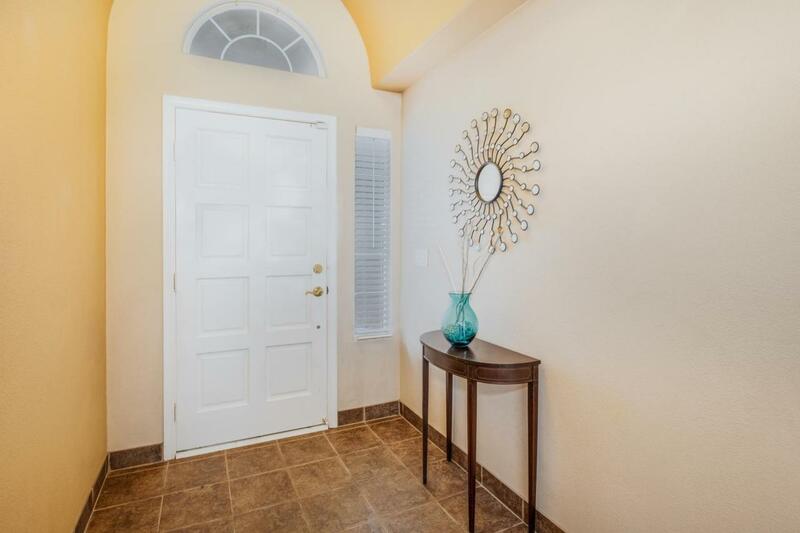 This well maintained single-story 3 bedroom, 2 bath home located in Champlain Heights gated community within The Dominion, is updated & ready for its new owner! Kitchen features new stainless steel appliances: oven/stove, micro/hood and dishwasher, granite counters, stainless steel sink, breakfast bar, eat-in kitchen with built in cabinets. Both bathrooms have been updated with granite counters. In addition, the master bathroom has two sinks & an upgraded tile shower. The master bedroom has two walk-in closets, that can be made into one, and a glass sliding door that leads to the covered patio. 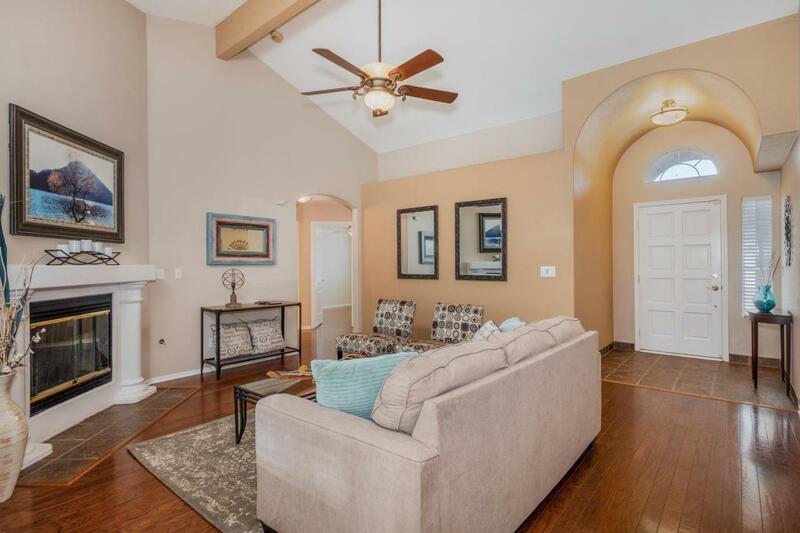 There is no carpet in this home: living room, dining room and all 3 bedrooms have hardwood floors. Laundry, kitchen & baths have tile. All bedrooms & the living room have ceiling fans. 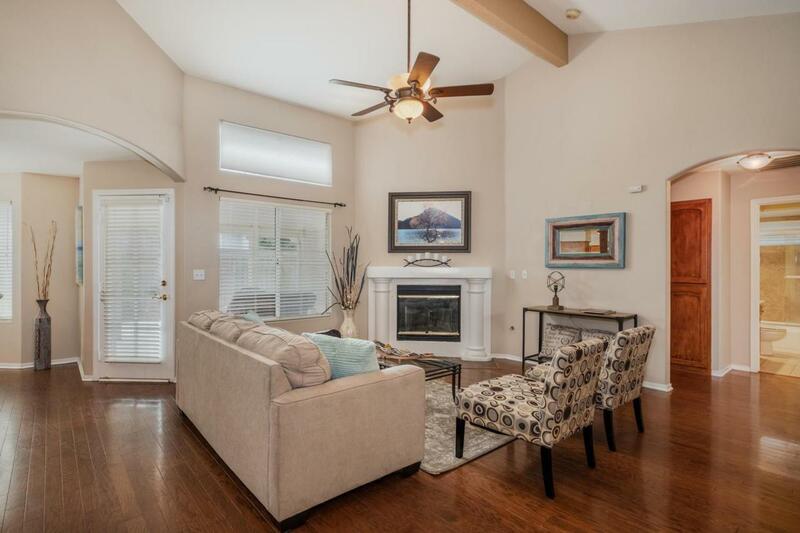 There is access to the green backyard, & covered concrete patio through both the living room and master bedroom. All rooms have had paint touch-ups to make this home turn-key. 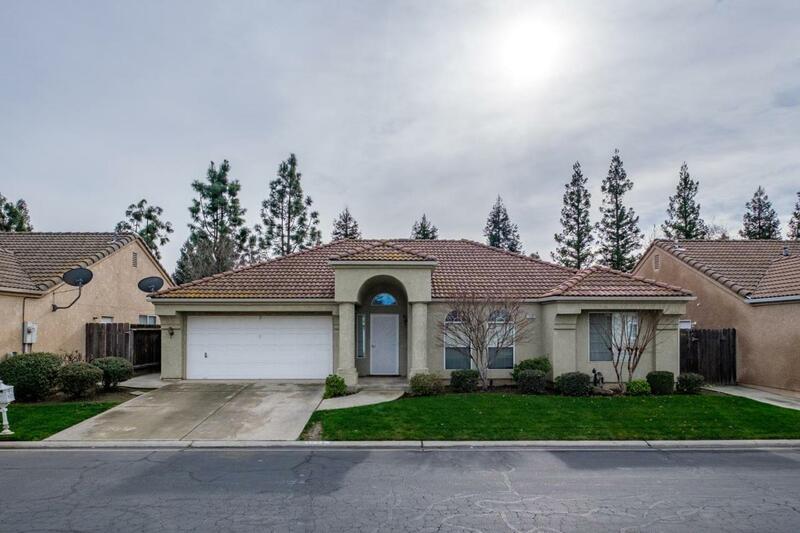 Listing provided courtesy of Lindsey Vasquez of Keller Williams Fresno.